We had earlier reported the news regarding the possible elevation of 2 judges namely Justice Dipak Misra, Chief Justice of the Delhi High Court and Justice Jasti Chelameswar, Chief Justice of the Kerala High Court to the Supreme Court of India. In exercise of the powers conferred by clause (2) of article 124 of the Constitution of India, the President is pleased to appoint (i) Shri Justice Dipak Misra, Chief Justice, Delhi High Court, and (ii) Shri Justice Jasti Chelameswar, Chief Justice, Kerala High Court, in that order of seniority, to be the Judges of the Supreme Court of India with effect from the dates they assume charge of their offices. 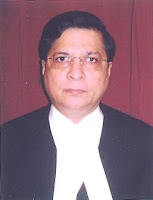 The elevation of Justice Dipak Misra ahead of Justice Chelameswar would mean that he would hold the esteemed post of Chief Justice of India after the retirement of Justice Khehar Singh in 2017.